Honestly self-policing (with apparently multiple authorities- Avengers and X-men) doesn't sound so bad... depending on how it's handled of course. Mutants did have a self-policing phase, just before House of M.
Went pretty well, all things considered. Yea. As long as there's not a big event about it, it works fine! Charles.... tends to... well strong arm isn't the word... he manipulates... it seems it's second nature to him now. He has always been manipulative. It's not a new thing. I will never understand the Jean/Wolverine thing. Good girls want bad boys. Or something. short violent hairy dudes wanting to get with hot leggy red heads? I get it. or did you mean the other way around? What woman wouldn't want an ugly short hairy man with rage issues who smells of beer, cigars, and death? I just don't get his thing for gingers. With the recton in Origin, it makes more sense (Rose being his caretaker, 1st companion). Going back to earlier stories, he ran into Heather Hudson (and her husband) shortly after escaping Weapon X and his memory was still kinda wonky. So between Jean and her, he imprints on redheads being kind, empathetic people. Leastways that's how I take it. 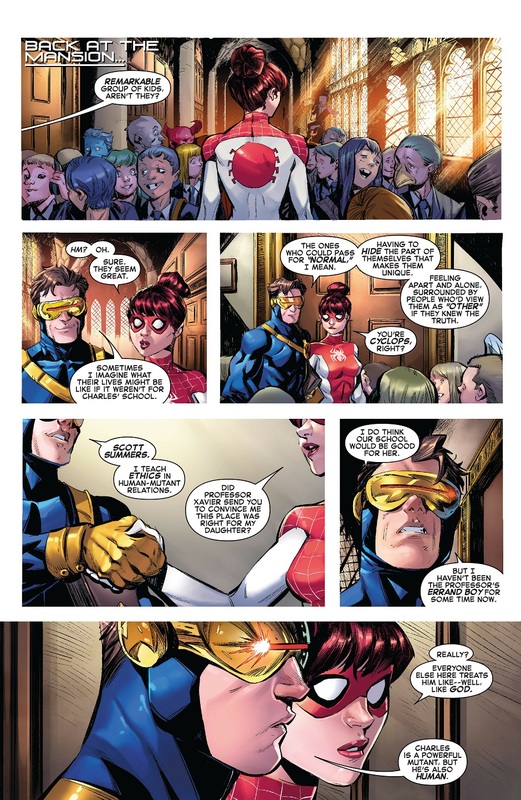 This is a pretty interesting take on the Xavier school and Cyclops in particular. Where is our divergence point, here? Did Cyclops stay with Maddie here? Someone else? I doubt they'll go this way because this isn't an X-Book but what if this "Jean" is Maddie? Didn't have a chance to check the issue directly (yet, at least), but if I remember correctly Emma is supposed to turn up during this narrative arc. I trust Conway and Co. to handle this well and deliver a good portrayal of Ms. Frost - I figure she'll be the one reaching out to Scott, getting him out of his funk and segueing into this universe's version of their relationship. 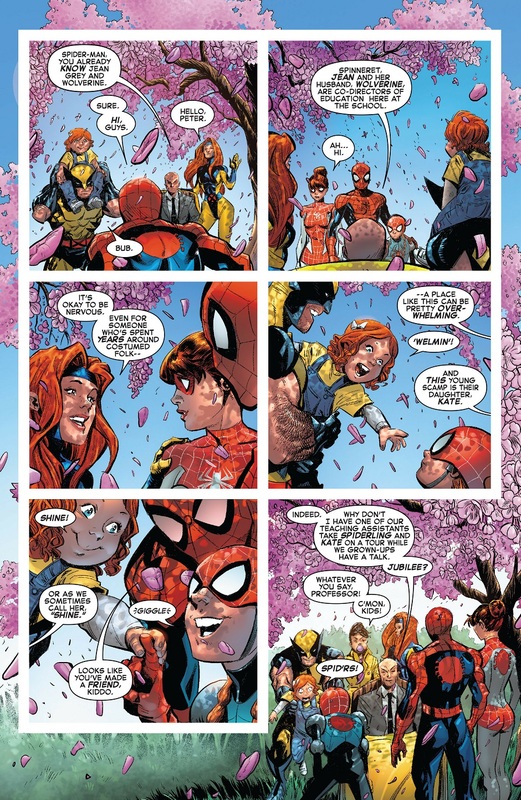 And that would make it the second couple Renew Your Vows brought back from the ashes (the first being Peter and MJ, of course; Logan and Jean seem to actually work here, and Kate is indeed cute, but it's closer to fandom in flavor). Also, I think Charles is almost certainly acting to protect the children. 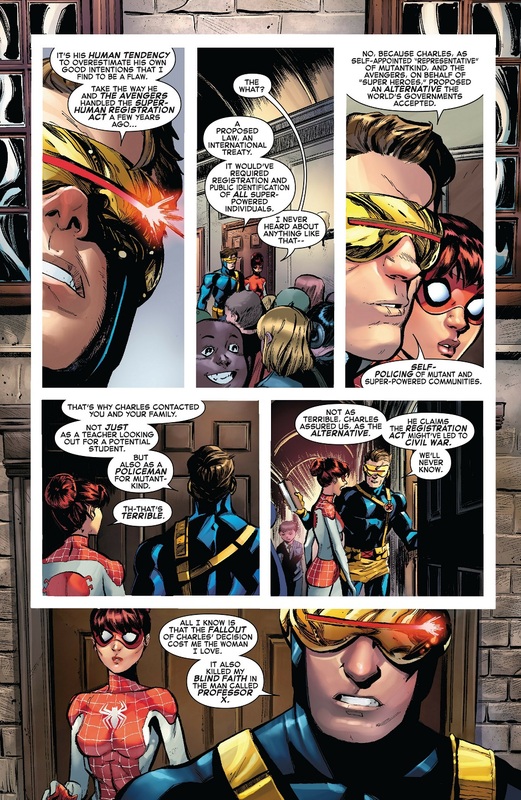 Cyclops does have a point, however, because the world governments essentially did get their cake and eat it too, and while the Professor apparently means well, it sounds more like compromise rather than cooperation between equals. Personal issues aside, Scott likely feels that Charles shouldn't have been allowed to "sell them out" in exchange for getting acceptance and approval from the majority. IMHO, they're clearly going all the way back to the vision of the X-Men narrative as a parable for civil rights. And by the way, if Jubilee's words are anything to go by, the divide between Homo Sapiens Superior and the "normals" is stronger than before, on both sides of the fence. Oh my gosh! 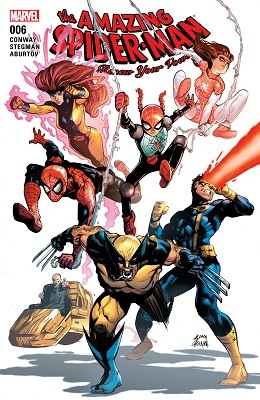 Ryan Stegman's art is so good! I've always had a soft spot for Jean and wolverine as a couple, but to have a kid? That's a nice touch. It was a fan theory that showed up after Hound Scott couldn't track Rachel for Ahab. Ahab commented that as a blood relative he should have been able to track her. Fans immediately jumped to Wolverine was her dad while Claremont was planning for the reveal that she had no father. She was supposedly going to be the child of Jean and the Phoenix Force. IMHO, I'm not that surprised: Xavier and Jean are quite possibly Logan's strongest anchors, with Kurt, Kitty and Jubes trailing just behind. Now, at least four of them are visibly alive and well and Kate being named after Kitty might just be an affectionate gesture towards a member of their extended family, rather than a way to honor a fallen comrade. At the very least, I hope this is the case, given the usually upbeat, nurturing take of the series on the themes of parenthood and children growing into their own. 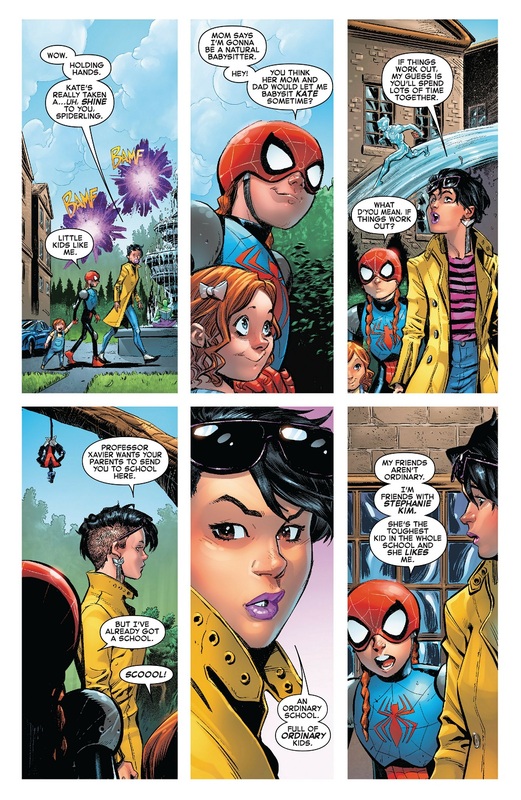 Man, I really hope this story really gives a good reason for Spiderling to not go to the school, as it is suggesting its going to go. It does raise a question of what makes a mutant. I remember them being similarly coy with whether or not Mayday was one. I think we can assume Logan and Jean's daughter is named after Kitty?